The Radisson Blu Hotel Altstadt Salzburg was the first stop on our around the world trip chasing Club Carlson properties. Salzburg, known for the birthplace of Mozart and the setting for The Sound of Music, is an incredibly expensive hotel market with average nightly rates around $200. I’ve always wanted to visit the city and so we decided that burning 44,000 Club Carlson points for two nights made a lot of sense. 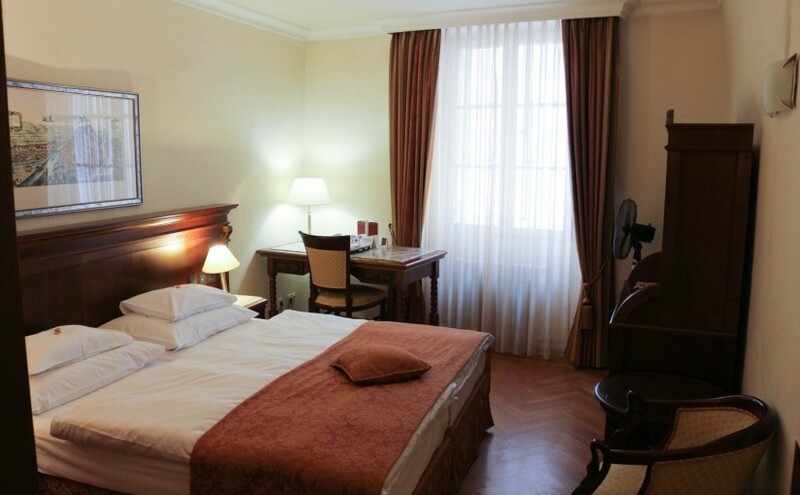 The hotel is in a historic building, which meant that the room is pretty small, the floor and walls were slanted, the walls were thin, and there’s a lot of wasted space. The furnishings were “classic” and something you’d find in an antique store. On the plus side, it is in an incredibly central location, right along the Salzach River, minutes from Mozart’s Geburtshaus and across the bridge from Mirabell Palace. It’s great as a base to tour around. Another thing to note is that this hotel isn’t actually a true Radisson Blu. It’s an Austria Trend hotel that seems to have adopted the Radisson Blu brand to syphon some customers from that loyalty program. There was no mention of an upgrade, a welcome gift, or any Radisson Blu branding inside the room. Overall, I think there are much nicer and more modern hotels, but given the expensive hotel market in Salzburg, this was the best alternative to paying cash.